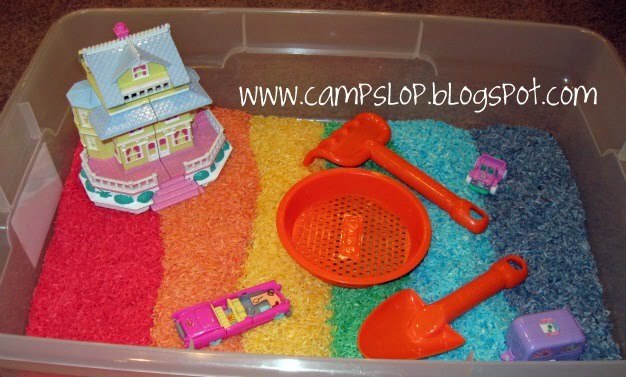 One of my goals for this year is to change out Pinky's sensory bin once a month. I may even make Chaos his own bin (since he enjoys playing with Pinky's so much) for his birthday. Pinky and I are currently reading the Rainbow Magic book series together. If you have a little girl and haven't read these yet, you really should check them out. 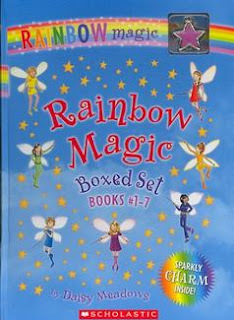 They are quick, cute chapter books that combine everything that my little girl (and I'm sure many others) loves: fairies, magic and rainbows. So for our January sensory bin, I thought I would run with a theme and make a rainbow box! 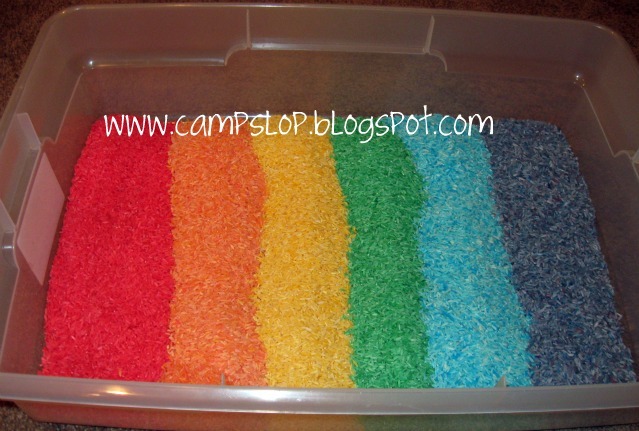 The base of the box is rainbow rice. 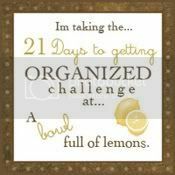 I found the instructions for making it here at Mama Jenn. 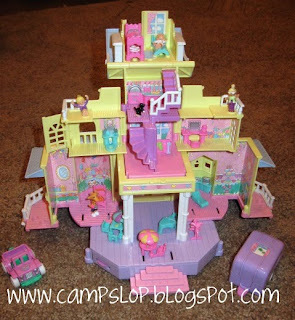 I added a small Polly Pocket house that a friend had given me ages ago but I had never passed along to Pinky. I hid the people (now "fairies") and furniture and told Pinky that she had to help rescue the fairies and make their new home, just as in the book. The rainbow rice - isn't it pretty?! I added some sand toys (a sifter, shovel, and rake) to help her with her search. I can't wait to see how she plays with this bin!